Some haunted sites require waivers due to dangerous areas that visitors must avoid. The fact is, some ghost enthusiasts take risks anyway. A waiver protects the site owners from lawsuit. Usually, waivers are designed to create a scarier atmosphere. It’s simply good theater. Consider the waiver and posted warning signs part of the set dressing. It’s performance art. But… whether they’re “set dressing” or not, don’t ignore those signs. They might just be legitimate. Haunted houses can be very old, and old houses can have loose or weak floorboards, narrow corridors, and other potential hazards. Sometimes, liability insurance requires waivers. When you are investigating in the dark, it’s easy to bump into something, trip over a loose carpet, or lose your footing on stairs. The same thing could happen if you’re wandering around an unfamiliar not-haunted house in the dark. Take precautions, whether you’re asked to sign a waiver or not. If you see someone stumble on uneven stairs, tread carefully. Old houses and other haunts can present risks like that. That’s expected. However, if you’re ever hurt at a “haunted” site due to the owner’s obvious negligence, see an attorney. It doesn’t matter if you’ve signed a waiver. There’s a big difference between an accident, and poor site maintenance. Author Fiona BroomePosted on 5 December 16 8 December 18 Categories Ghost Hunting, Haunted Places, Other Topics1 Comment on Why do some haunted houses require waivers? On only a few TV shows — like Ghost Adventures — ghost hunters lock themselves inside haunted places. To me, it seems a little silly, but it can add to the tension. It’s another way to make ghost hunting look more exciting. It also increases the likelihood that no one will wander into the location, and corrupt the investigation. For example, if the team hear footsteps in another part of the site, they’ll want to be sure that no one else entered the building. But, if anyone really wanted to leave the haunted site, they could open a window and climb out. Or leave through a back door or a basement door. So, in real life, investigators rarely lock the doors. Not unless it’s a private residence or business, and the doors are always locked after dark. Of course, being “locked in” is a common plot device in many stories, books, plays, and movies about haunted places. It’s also used in some “scary haunted houses” created for Halloween. On TV shows and in movies, I think it increases the tension. Some Ghost Adventures locations look dangerous. That has nothing to do with ghosts. During filming at those locations, I’d lock the doors, too — to keep vagrants and drug dealers out. Making that part of the story line — as if they’re trapped inside the site, overnight — is an added bonus. But, in general, you’ll never see ghost hunters lock themselves inside a haunted site. Otherwise, when ghost hunters lock themselves inside a haunted site, it’s because the doors would normally be locked at that hour. I can’t think of any other reason to do so. Author Fiona BroomePosted on 25 November 16 9 November 17 Categories Ghost HuntingLeave a comment on Why do some ghost hunters lock themselves inside haunted places? I’m not sure why some ghost hunters (especially on TV shows) always turn off the lights before they investigate a haunted site. Of course, darkness makes the show more dramatic. Night vision cameras always give an eerie look to the location and the people in it. Normal EMF can be reduced by turning off as much electrical equipment as possible. So, we may turn off lights, especially fluorescent lights, at least for a few minutes. Reducing that electrical “background noise” makes it easier to detect anomalous EMF readings. Also, researchers’ other senses can be heightened in the dark. They have to rely on sounds, smells, and so on. 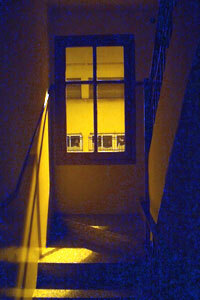 In addition, some ghost photography is more effective in full darkness, with just a momentary flash of the camera’s light. 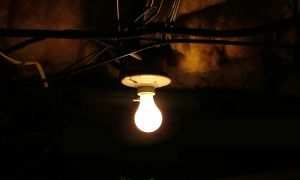 There may be other reasons to turn off the lights, but those are the ones that make the most sense, as a field investigator. My advice: when you’re on an investigation, leave the lights on as much as possible. That’s for safety, so you can see where you’re walking, where stairs or openings are, and so on. Once you’re more familiar with a location, it’s okay to turn the lights down, or even off. Night vision equipment can be an asset, but as long as everyone knows areas and objects to avoid, low-light conditions can be okay. But, in general, it’s safer to keep the lights on. At the very least, don’t turn the lights out until everyone is familiar with the site. That’s for safety, and has nothing to do with the ghosts. 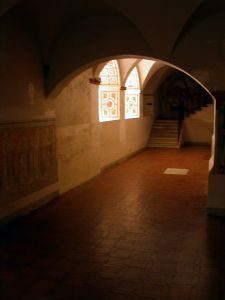 Author Fiona BroomePosted on 24 November 16 15 November 16 Categories Ghost HuntingLeave a comment on Why do ghost hunters turn off the lights to investigate?